I’m not sure about everyone else, but for me, as the weather gets colder, the less I want to do. It’s hibernating season, after all! But unfortunately, we humans don’t stop in the winter, and coming into the holiday season, it’s even busier than ever. It’s the season when I don’t want to lug around a heavy backpack, but need a nice, functional smaller bag that can go everywhere easily with me. Messenger bags are the perfect solution, as they are nice and light, but bigger than my purse. It’s not a tote, so I don’t have to worry about carrying it, as I can just sling it over my shoulder or across my body. That way I can keep my hands where I want them – in my pockets, and out of the cold! I recently discovered the phenomenon of waxed canvas bags, and as it turns out, there are also waxed canvas messenger bags! 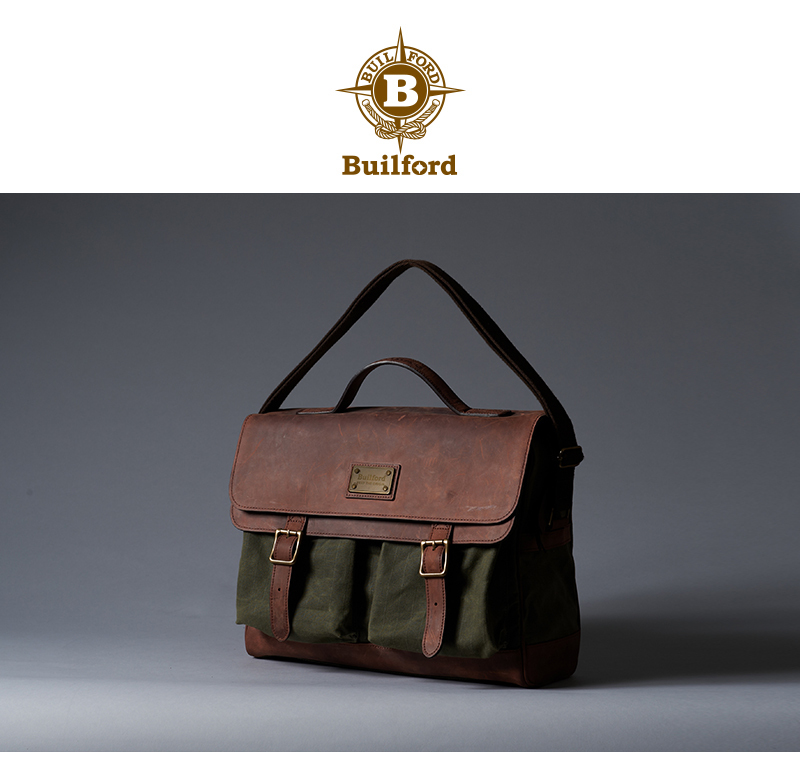 Builford, who made the backpack that I really can’t live without, has a whole line of cross-body bags and sling bags, which are all just fancy ways of saying messenger bags. One of my favorite designs is the Annette Cross-Body, pictured above. I’m not really even sure why, but I find this messenger bag the epitome of class and function. Something about the balance of waxed canvas and leather, I think. It looks kind of like a bag you’d rather not take out in the rainy autumn or snowy winter days, though, doesn’t it? Turns out, you don’t have to worry about it. That’s the beauty of waxed canvas, as it comes with its own built-in waterproofing. And the leather is also previously treated with oil to avoid the usual drying and cracking that you get with leather products and water. Honestly – my Builford backpack has been in far too many rainstorms and the leather is still just as smooth and moist as it was when I got it. Messenger bags are great for both men and women, and the Annette Cross-Body – like most Builford designs – is no exception. As you can see from the pictures below, it looks great with both. You can also choose different colors of the waxed canvas to fit more with your style. I’m personally crazy for the Olive version, but it’s up to you! If you have to drag yourself out of your cozy bed and deal with life, even in the cold, a messenger bag is great to just grab and go. It’s big enough to carry what you need for the day, and light enough so it’s just not a hassle. 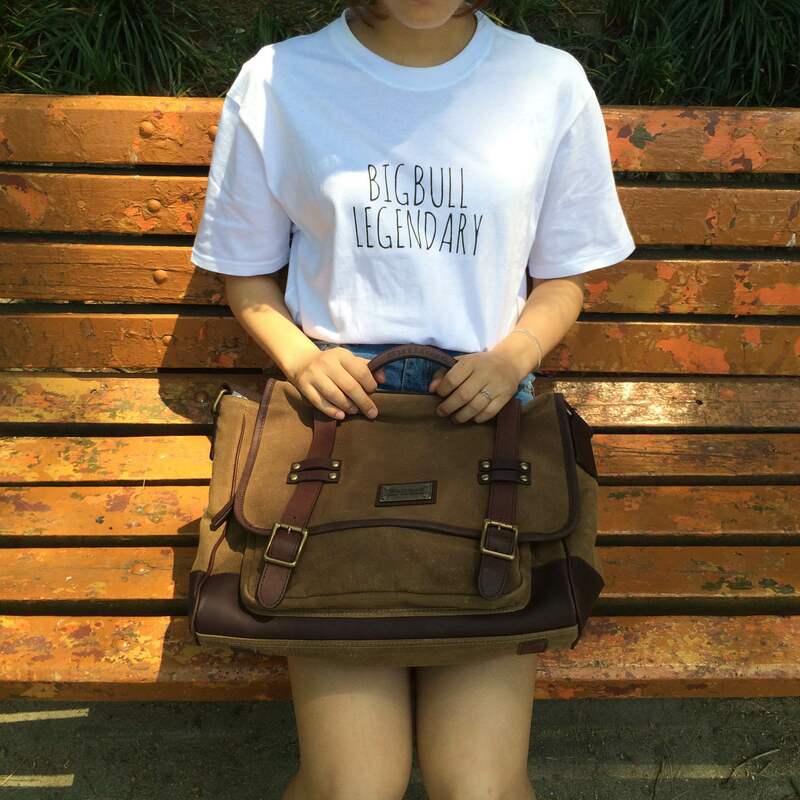 To get your own Annette Cross-Body or check out Builford’s other messenger bag models, head over to their website at www.builford.com! 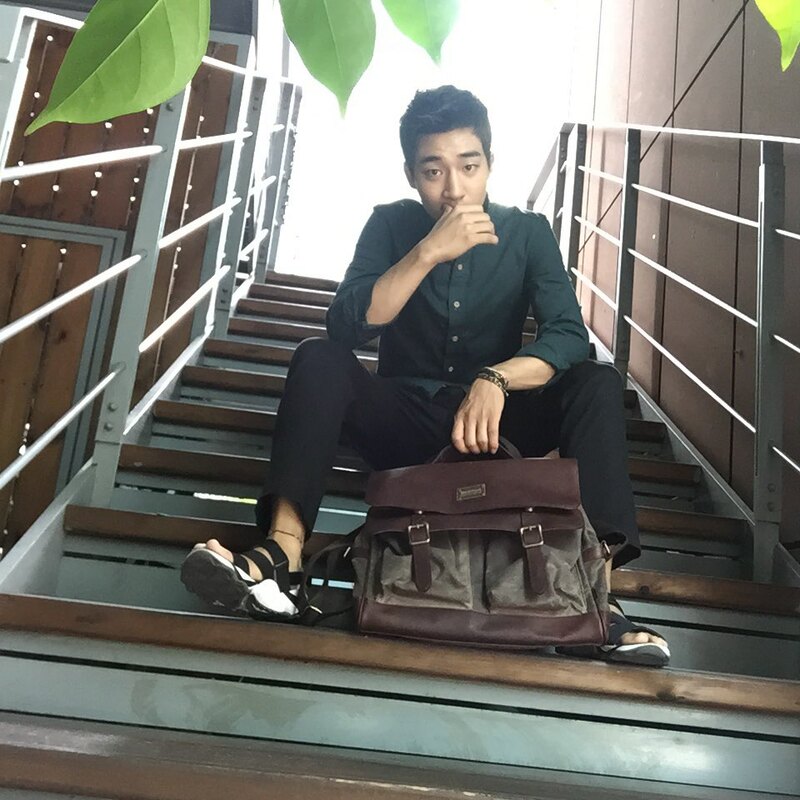 Share the post "Messenger Bags for Winter"
Posted in Blog and tagged builford, builford messenger bags, Builford waxed canvas bags, men messenger bags, messenger bags, waxed canvas, waxed canvas bags, waxed canvas messenger bags, women messenger bags. Bookmark the permalink.